A few seasons ago, crocs got a fashion upgrade courtesy of Balenciaga and Christopher Kane which was surprising in itself since the candy colored foam clogs are hated by just about everyone. 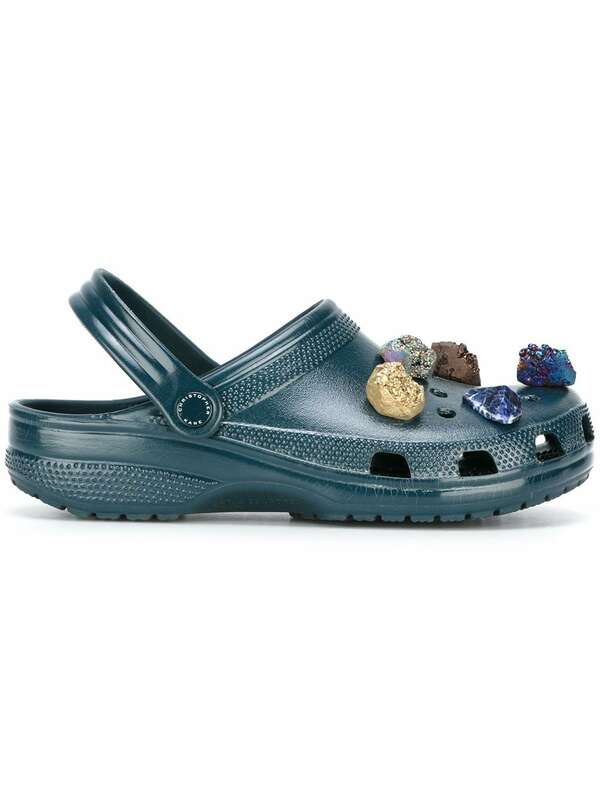 But what’s even more surprising is that these remixed crocs have become a sensation of their own, flying off of shelves so much that designers cannot keep them in stock. 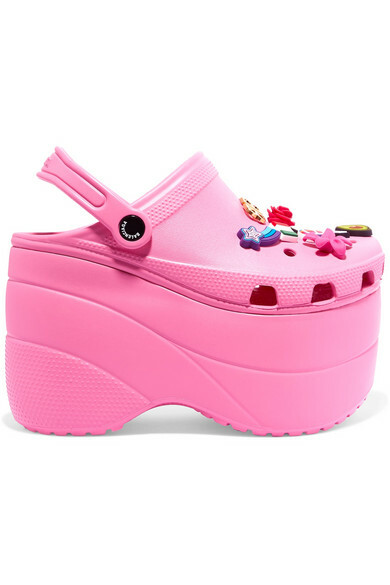 Balenciaga’s Demna Gvasalia has said that crocs are “the shoes of the future” so maybe she does have trend forecasting abilities, seeing as how the shoes are not just worn by dads and chefs, but by fashionistas in in 10 inch platform versions adorned in charms. COOLS reported last week that the Croc brand has rolled out their own wedge heel version called the “Cyprus V Heel” that’s sold out already and is being resold on Amazon at four times higher than the original price. While it’s an innovative shoe, and the material allows designers to 3D print them leaving room for all sorts of interpretations, it’s definitely a look aka people will be looking down at your feet all day in confusion. But if you’re cool with that, scroll down below to shop some styles for yourself.